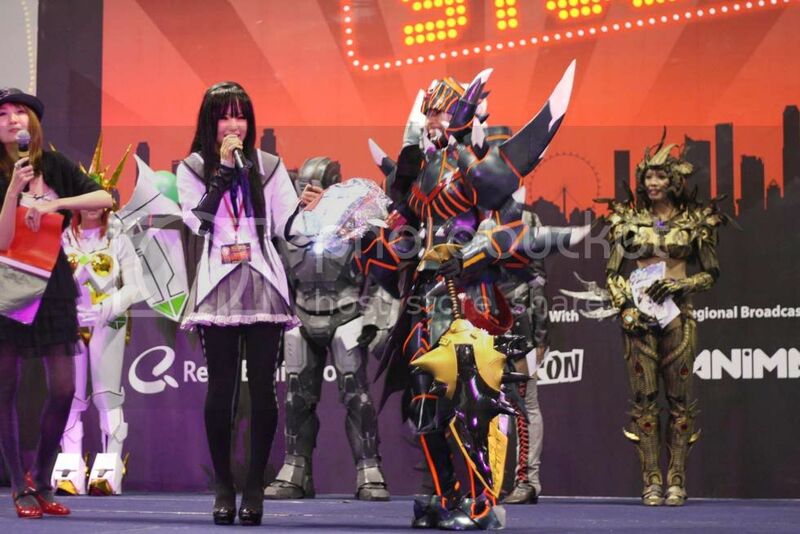 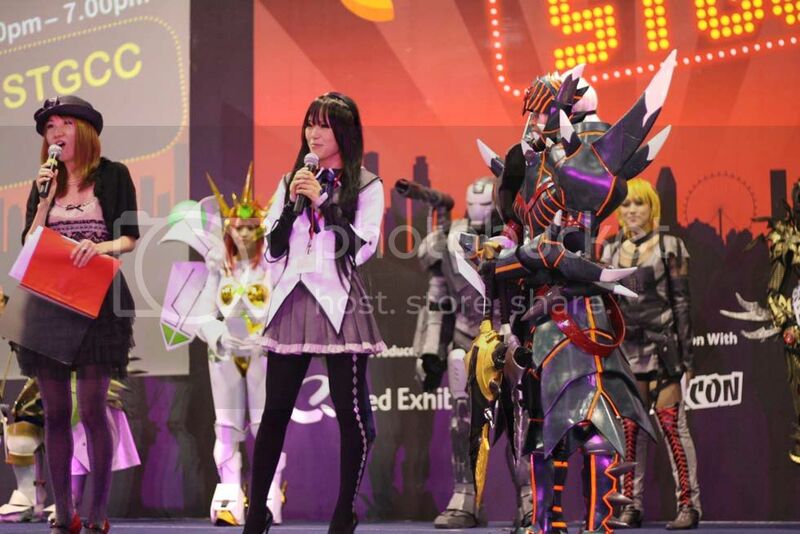 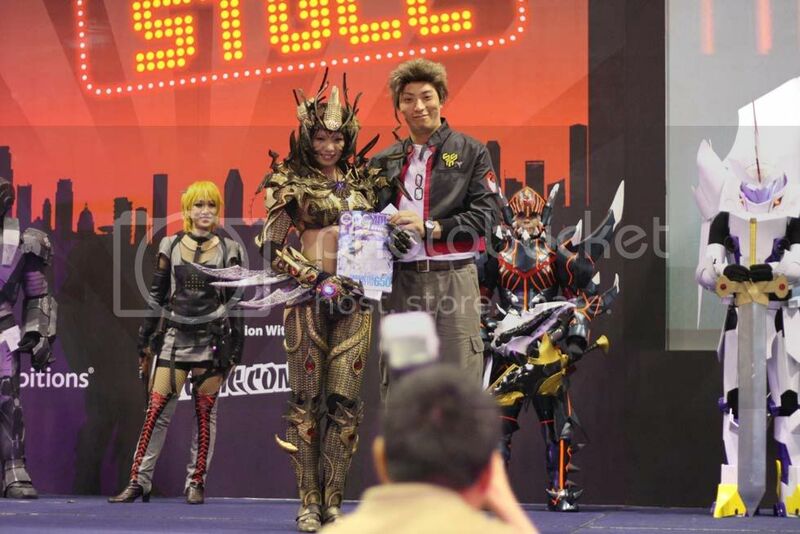 Pinay cosplayers May Grace Roldan and Stephanie Sumbe were finalists at this year's Cosplay Competition at the Singapore Toys, Games and Comic Convention held at the Suntec Convention Center in Singapore. 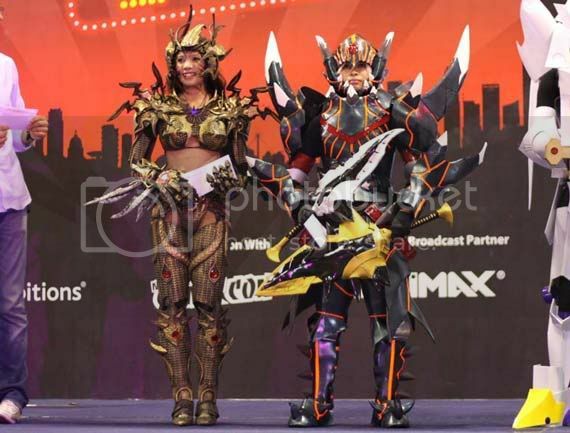 Although they won't be bringing home the championship both cosplayers won special awards from the distinguished judges and fellow cosplayers Kipi and Jacky Dosai. 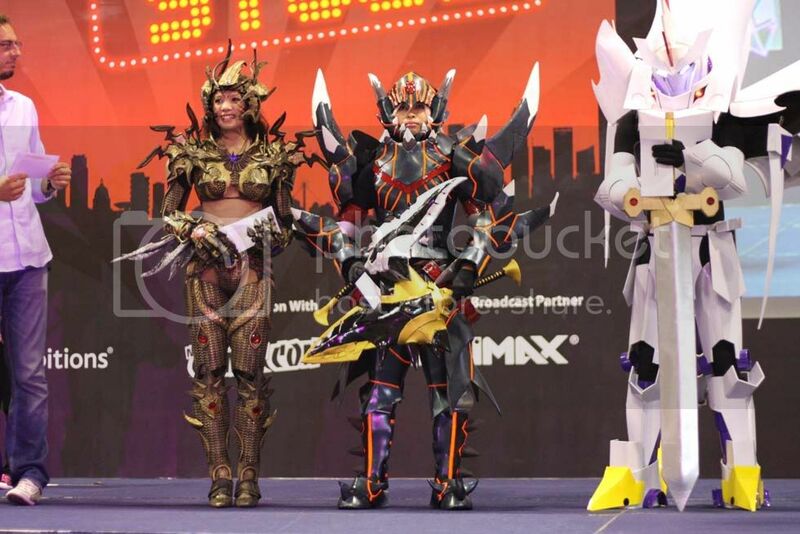 Each of them will be bringing home a SGD 100.00 and a special prize courtesy of Kipi and Jacky Dosai. 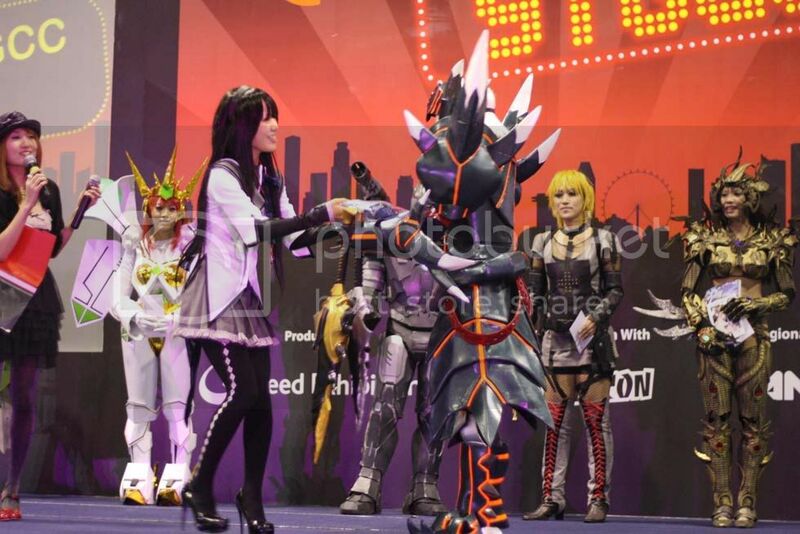 Mary Grace aka "Kawaimace" will be bringing home a special edition of Cosmode which is signed by Jacky Dosai himself while Stephanie aka "Nikki" will be bringing home a cosplay costume from Kipi. 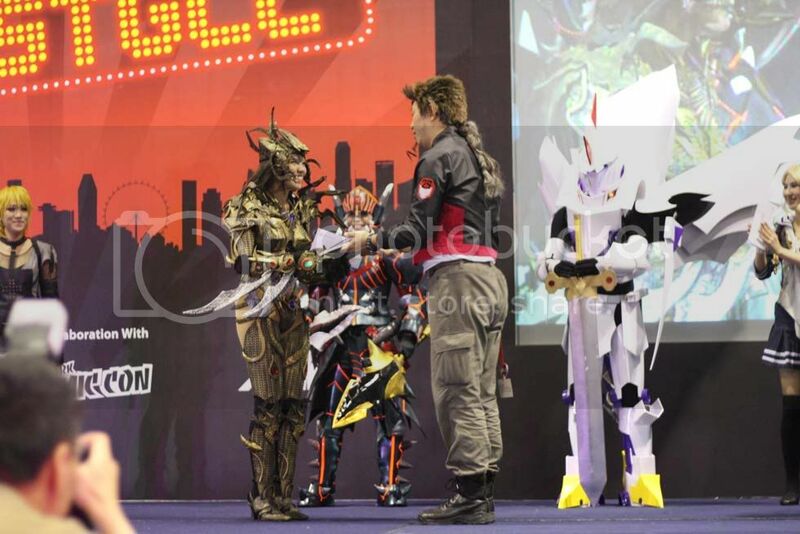 Check on more images of the awarding right after the break.